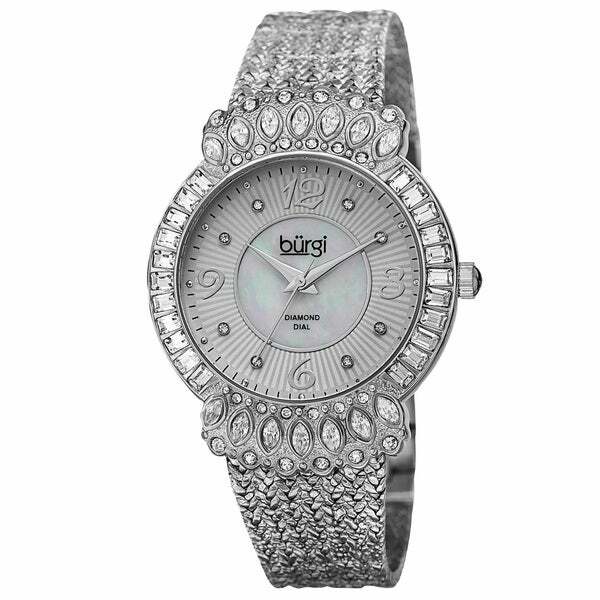 This charming Burgi women's watch is powered by Japanese quartz movement. It features a mother of pearl dial and sparkling diamond markers. The long sleek hands and dazzling crystals make this timepiece elegant and unique. Love this watch! Very bling bling! Goes with my diamond accessories. The picture of this watch does not do it justice! It is such a beautiful watch and worth every penny! It has a good quality feel to it and gets lots of compliments! You won’t be disappointed! Love this beautiful piece of jewelry! Fits with all my wardrobe pieces and looks very elegant! Wife loves the watch. Very Nice. Did have to size it as it was very large. To large for my wrist. I have a very small wrist. The face of the watch was just way too big for my arm. Also the band would not take up small enough for my wrist. It was very pretty but simply did not fit. Beautiful, But trouble getting the Band to fit my small Wrist. This is quite stunning! I was surprised how beautiful this watch is. I love it! Beautiful watch just love it. Bought as a gift for my Mom. She loves it! Very sparkly and nice size face. Sadly I did not care for how this watched looked when it arrived. It was just not my style. I wanted to like it but in the end just returned it because I knew I would not wear it. Very fashion ! Looks very rich ! 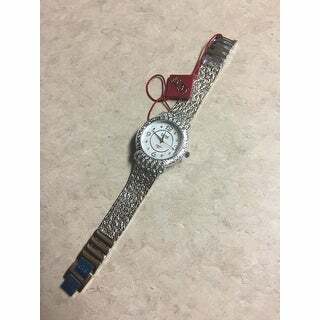 Very pretty watch. Works well too! It's a pretty watch. Great for that neat little added accessory for a classy look. Beautiful and sparkly. I need a dress watch and have been looking. The sale price and very positive reviews helped me make the choice.